By Matthew O’Shaughnessy from WVOX.com's Metal Mayhem. The Bronx, New York has given birth to many celebrity actors, internationally-known Italian restaurants and, of course, heavy metal titans ANTHRAX who are currently tearing up the road with SLAYER, SLIPKNOT, MOTÖRHEAD and more on the The Rock Star Energy Drink Mayhem Festival. 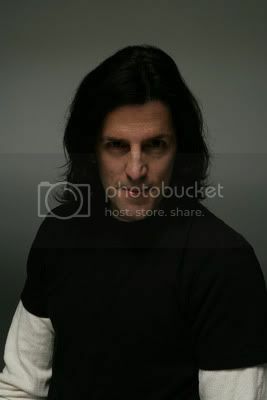 Bassist Frank Bello recently checked in from the road sounding completely upbeat and stoked about the current road trek and upcoming gigs with TESTAMENT and DEATH ANGEL, and more dates in Europe with Motörhead after the Mayhem Festival. 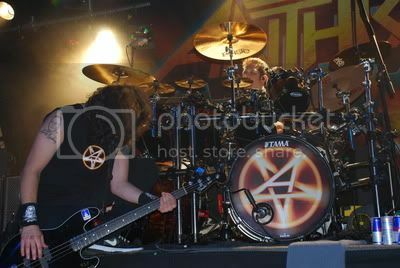 WVOX.com: To say that Anthrax is having fun on the Mayhem Festival is an understatement. We hear that the tour is going exceptionally well. WVOX.com: How much music has Anthrax been in a position to feature on the Rock Star Energy Mayhem Festival? WVOX.com: The tour kicked off on June 30th in San Bernadino , California and has now worked its way to the East Coast. What has the camaraderie been like with Slayer, Slipknot, Motörhead and the other bands? WVOX.com: You’re set-list is unique for this tour, having forty minutes to perform. WVOX.com: What’s every day life like on The Rock Star Energy Drink Mayhem Festival? WVOX.com: Anthrax came roaring out of the Bronx, New York in the early 1980’s and fast made an international name for themselves in heavy metal. After thirty-plus years, what are your thoughts on the bands longevity and success? WVOX.com: Anthrax has forever put their stamp on New York metal and for that matter all over the world. What are the bands plans for writing new material? What’s on the agenda for a Worship Music follow up? Wvox.com: What’s your message for your world-wide fans?